Because real-life data is sometimes the only way to assess your uncertainties correctly, tracking is one of the most important components of RiskyProject. To track a task, you enter the percentage of the task done on the particular date. 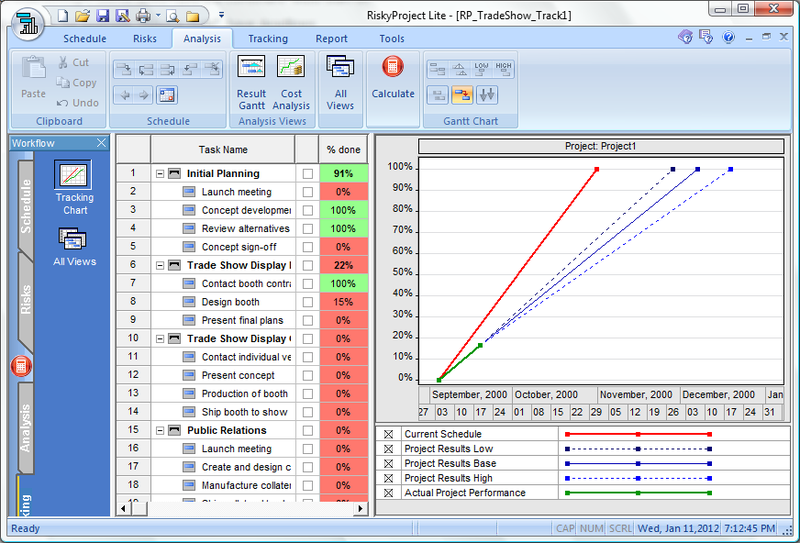 RiskyProject then calculates the projected task duration and updates the risk profile of the task. The project schedule is recalculated to give you a more accurate estimate of total cost, project finish time, and duration. Note: If you are importing a schedule from a 3rd party tool, RiskyProject will read in any actuals including % complete and status dates.